I (Bjørn) have experienced not feeling my toes on numerous occasions and I’ve also had my eyelashes freeze, but having a beard adds another dimension to the feeling of unblighted cold. 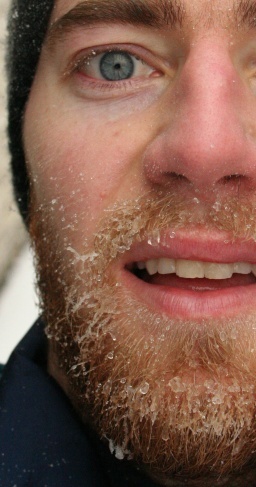 By the time we got back I had little ice balls dotted all over my face! Reminds me of manouvres in the mountains while I was in the army (when I definitely had very little facial hair), when we were told in no uncertain terms not to shave in the morning because it greatly increases the risk of frostbite. Think I’ll keep the beard – at least until March!